In my last post, I talked about not really wanting to stay actively involved with the markets because I didn’t want to risk underlying principal. I thought that I had found a reasonable strategy that would allow for me to earn some “interest” on my cash out refi funds ($200,000), while at the same time reducing my overall exposure to these scorching hot markets. So, I put together a plan to accomplish such a goal, and somehow have been lucky enough to have already met my income objective for this year (exceeding $1,897), after trading in the stock market for 5 full months (January to May). With the income goal fulfilled, I decided to exit out of most of my individual stock holdings, with the exception of retaining 3 positions (~$15,000) to further trade with. By doing so, I limited my risks because I went from a stock portfolio of $100,000+ down to $15,000. This all seemed to make some sense to me… but probably not to many others. With real estate investing (REI) it’s very easy to know when the markets are expensive and it no longer makes sense to invest anymore. Since most real estate transactions are funded through the use of loans, the analysis is as clear as day — Cash flow after all expenses (PITI + HOA + landscaping + utilities + maintenance/vacancy reserves + etc.) needs to be positive, or at MINIMUM break even, or it’s a bad deal! This type of analysis is very black and white. 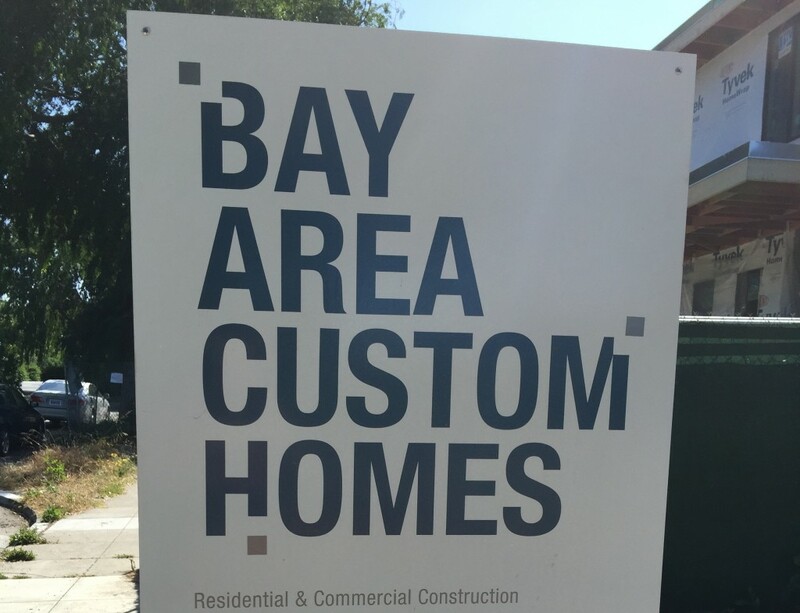 There’s no room for misinterpretation… When I first started investing in Bay Area real estate in 2012, cash flow was abundant and it was very easy to locate deals that provided a Cash-On-Cash (COC) Return of over 10%+. Over time, as this bull run continued, the returns got increasingly smaller and smaller. Cash flow started to vanish from $800/month, to $500/month, to $200/month… to basically NEGATIVE dollars every month, today. So, as a real estate investor, there’s a clear demarcation line that’s been drawn in the sand. Earlier this year, I completed what was probably my last Bay Area deal (for the foreseeable future) when I closed Rental Property SH #3 for $470,000. That property is essentially cash flow break-even, so I knew that I was basically getting in as the door was slamming shut. Since closing Rental Property SH #3, the local market has continued surging, and that property has appreciated by a MINIMUM of $80,000 (supported by recent comps) in the time since. Yeah, good luck to any new owners (if they are an investor) attempting to earn cash flow with that kind of purchase price! That’s the kind of chatter you get with real estate investors! Again, because cash flow is so easy to calculate, most EVERYONE knows when it’s a good time to invest, and when it’s a bad time to invest. Here’s an online thread with a great discussion regarding market tops in my own local market. As you can see, this current hot streak has almost everyone cognizant of what is going on and proceeding with extra caution. Deals can always be found, sure, but the buying velocity has slowed down considerably. 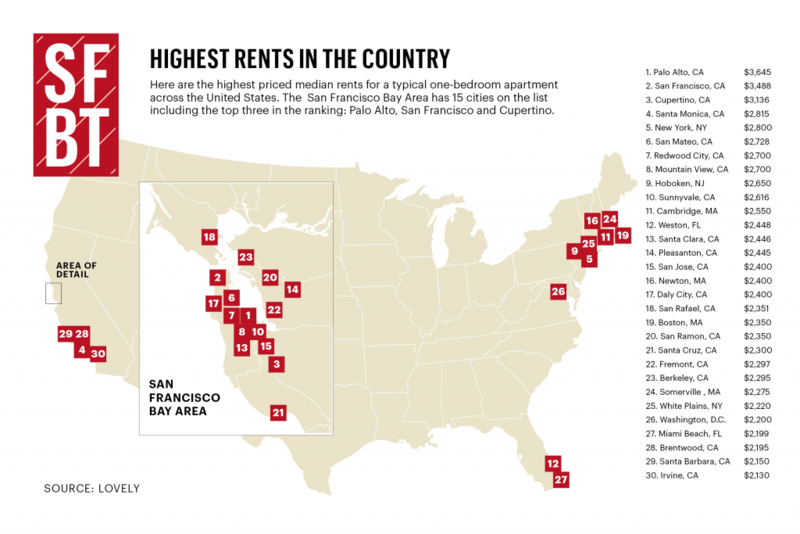 Previously, Bay Area investors were able to depend on rent appreciation to bail us out, but with rents having climbed as much as they already have these past 3-4 years, how much more can we really expect to keep pushing things? Incomes have to keep going up to keep pace! But of course, we all know that cash flow can be made positive… just put together a larger downpayment, and there you go! Artificial “cash flow”… sort of. 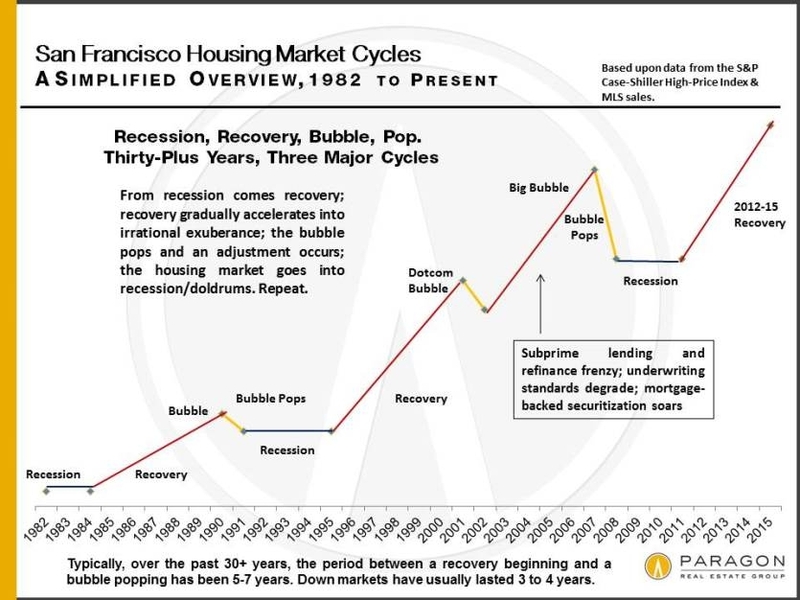 Real estate is cyclical. 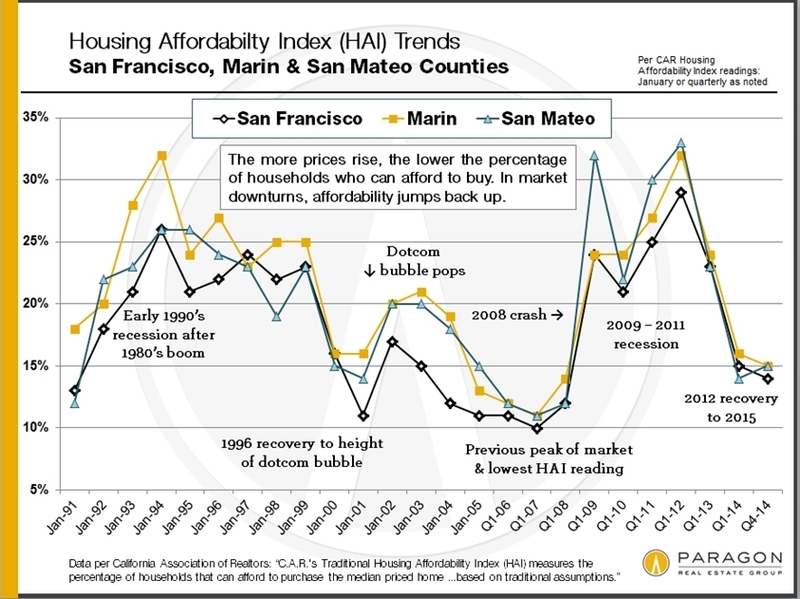 The Housing Affordability Index has dropped far too precipitously for my own liking. A pullback seems near, if not imminent at this point of the cycle… Maybe we’ve got another 2-3 years left? Wanna test your luck? 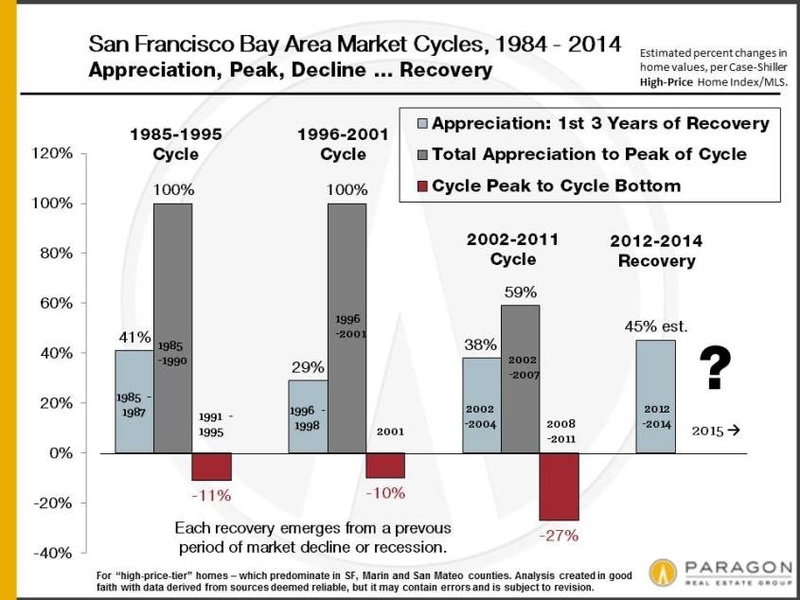 Is whatever juice that remains unsqueezed in this cycle worth the risks? Instead, we can simply stop investing… Or we can go and find another market that’s much more affordable. When you’re investing with stocks, it’s a totally different approach and mentality. For starters, most everyone (except the most daring) who invests in stocks does so with their own money. It’s not the norm to find stock investors who invest with margin, or leverage, which is something many real estate investors rely on! Investing in stocks (without using margin) is like buying a rental property with 100% downpayment; no matter how terrible the deal is, as long as the unit is rented out, you’ll never be cash flow NEGATIVE! As such, the lines get blurred a bit… With stock investing, the red flags are less apparent, and marginal (bad) deals will slip through the cracks, almost without notice. The mainstream, our employers, the media, etc. have all taught us that we need to stay invested in the markets at all times. As it pertains to stocks, this means making regular contributions to a 401k, or IRA, regardless of rain or shine. Over the long run, history has shown and proven that this type of approach tends to work out, and your compounded annual returns will be more than respectable. If nothing more, this clockwork style of investing has helped many people achieve financial independence and early retirement. Not only does it work, but it’s an approach towards investing that has now been ingrained into our brains and the very fabric of our being. This type of approach makes sense to everybody… Why would you even suggest doing anything slightly different? Stock investors have all been conditioned to invest this way, regardless if you invest in index funds, ETFs, dividends, etc. Real estate investors know that you can’t time the market (but you always gotta know at least where you roughly are)… With REI you also can’t simply “buy an index fund” every month and be done with it… Again, with REI, it’s really, really, really tough to win a property without utilizing some sort of financing (of course we are limiting the scope of this discussion to normal folks aspiring to reach early FI; this obviously won’t apply to the super affluent who can drop it like it’s hot…). Luckily, if the cash flow doesn’t work, we stop investing… It would logically seem like the right thing to do… But in the minds of a stock market investor, are we are thinking too much and trying too hard to outsmart and “time the market”? Shouldn’t we just keep on investing, regardless? But take a look around, and you’ll no doubt find many real estate investors sitting on the sidelines these days… flush with CASH! We haven’t bought anything in 14-months now. We’ve been close on a couple and missed another. We’ve done serious analysis on a couple dozen buildings this year, sent LOIs on perhaps a third of them … had other folks come overtop of us on most of those (some paying ask) … there’s just not a lot of value at the moment. 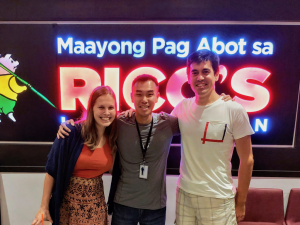 As you can see, taking a break, or time off from a HOT market, is actually rather normal in the REI space..
Perhaps I’m more real estate investor than stock market investor? Up until most recently, my strategy with stock investing has always relied on conventional wisdom: regular contributions into index funds, or passive income through Dividend Growth Investing. Because of that, I can see how a stock investing approach with only intermittent activity and transactions can seem foreign and illogical to a pure stock investor. I find all the above most fascinating… You can make money investing in stocks and/or real estate… But the mindset you take with each can be so diametrically opposed… It’s almost like you’re wearing different hats and trying to find a way to bring harmony between the two approaches. What do you think? Time the market? Invest, regardless of rain or shine? Does this current bull run scare you at all? I stand by my comment on your last post, but don’t have much to add to it other than that people have studied various strategies on trying to intelligently shift between being invested and being in cash based on hot markets or whatever rationale and 1) most of these strategies don’t work and 2) most investors fail at doing this (likely some combination of hard to consistently execute and faulty strategies). If by cash flow you mean dividends, it has just about nothing to do with predicting market return. This is has been tested at the market as a whole level but to give a specific example: Berkshire has never paid out a dime in dividends and has gone up something like 20,000X since inception. Actual true earnings adjusted properly has some value, but is hard to implement on an individual stock basis with out reading lots of annual reports (think 100s of pages per day of this stuff) and shows little-nothing you can make profit off of in terms of timing investments in the market as a whole. Now for information you may find more useful: 1% interest at CIT Bank. They have been there for a while so not a promotional rate. On 200K that is 2K. On 185K that is $1850 if you like playing with 15K in stocks. Your goals for the year while having 0 downside risk combined with instant liquidity. Free wires out with over 25K. From a real estate investor’s perspective, shifting from accumulation mode to a strong cash position is not simply about total returns, outfoxing the market or anything to do with generating income; it’s about protecting the downside. With stocks, unless you are utilizing margin, the downside risk is better contained. Sure, no one likes to see losses on their screen, but unless you sell, it’s all unrealized paper losses… If you aren’t experiencing things like margin calls, you most likely won’t ever need to sell… You can just keep on investing like normal. A real estate investor can’t do the same because with financing, you’ll always have to account for mortgage payments. Since principal and interest make up a huge sum of expenses, net cash flow is always a very real indicator telling us how much margin/wiggle room we have left. Typically, when cash flow returns start going negative, it’s a clear sign of a overheated market. When I talk about divesting from the markets, I think the common response in people’s minds is that I’m after total returns… I’m not. It has everything to do with safety and defense, and this type of “in and out” approach taken is very common in the real estate domain. Every successful real estate investor is cognizant of where we are in the market cycle and knows when to ease off and focus on defense. That’s where I think a lot of misunderstanding comes from… when I try to carry that real estate line of thinking over to the stock domain… through the use of dividend growth trading. With stock investing, you’re always taught to keep investing and stop trying to time and outsmart the market… you simply can’t do that with real estate. To protect principal, I started trading stocks instead. I never thought I would see the day when 1% interest sounded appealing, but that CIT Bank deal doesn’t sound too bad. Thanks for the tip! I have been reading your blog recently. You have a nice strategy going on. It seems you have a cash flow negative property. Do you consider selling it? This way you have more cash flow buffer if something goes wrong. Alternativly, you could sell even more until you only own mortgage free properties. Then wait for the next correction and start again? You then have a risk free cash flow that creates a great stash for the next correction. The cash flow negative property is not too far away from break even, and after the next round of rent increases, it will be cash flow positive, like my other properties. I’ve also hedged into 3 deals with other investment partners to help mitigate risks. As it pertains to “cash flow buffer”, my buffer will be in the form of cash in an emergency fund. Yes, the strategy to sell is definitely something I have planned for later in the future. For instance, I have an ownership stake in 8 properties right now… Hopefully another buying opportunity comes around and I can load up and buy 8 more units or so. Down the line, it’s possible I could sell half the portfolio to pay off the other half to eliminate all mortgages. Then, whatever you’ve got left should provide strong cash flow to help you fulfill your early FI dreams. Since I’m still growing, I’m ok with holding on for now… Thought I’ve seen many investors liquidate completely this year (retirees for example) and who are overjoyed with glee that the markets have returned so triumphantly. Many have sold off their million dollar homes and are riding off into the sunset to enjoy their golden years. I’m hoping the cash I have saved and any additional income I earn moving forward will prepare me well for any future corrections/crashes. I definitely don’t try to time the stock market, and am always fully invested. So many of my investment regrets are selling far too early and missing out on some tremendous gains! The only downside of course is that when a market crash does eventually come and stocks go on sale big time, I’ll be wishing I had a pile of cash to pour into those cheap stocks! We can’t have it all, but this strategy works for me, knowing my own temperament. If I had access to 1% interest loans, I’d probably use that to take advantage of any stock market crashes though! Yes, it’s definitely tough to be in the best of all positions, as capital is always going to be limited and we must allocate between investing for now and saving a stash for later. Investing in the market at all times is a great strategy, and right now I’m fully invested in the market through my 401k and Roth IRA. In addition to the long-term portfolios, I did have a $100k individual stock portfolio, but I’ve since trimmed that down to reduce overall market exposure. Ultimately, you just have to do what is best for your own situation. By hanging on, you definitely position yourself well to benefit from any appreciation gains through the years. I think you made the right decision Fighter, but maybe that’s because I’ve made a similar one. Reducing your exposure is clearly not about beating the stock market’s return. It’s obvious to me that you’re trying to maintain a high level of liquidity, in case your highly leveraged real estate investments were to go wrong. This especially makes sense now that you don’t have your large salary to fall back on. Yup, you got it and hit the nail on the head; it’s all about having lots of liquidity in case things hit the fan. It’s the price you pay with leverage, I guess… I’ve spoken to too many who were burned badly by the crash of 2008, and no doubt they’ve warned me plenty of times to not get careless and overly aggressive. Real estate investing and stock market investing are definitely two different animals and thought you had some really good points in this article. Particularly with it not being extremely obvious when a stock is overvalued. With real estate, obviously negative cash flow after expenses is a real good indicator that the market is risky and can only continue to be sustainable based upon appreciation. Keeping strong liquidity in your situation is absolutely warranted. You are already highly invested as it is. Your largest holdings (real estate) are working for you everyday with ongoing rental income, principal reductions, and appreciation. Your tax deferred accounts are fully invested in the stock market. So I don’t see having some liquidity not making a return (or much of a return) as an issue at all. You are already winning, no reason to get greedy. Particularly with where the markets are at these days. All one has to do is look at a chart, we are far from the bottom. But it really doesn’t matter in your situation if the market continues to ascent for years to come. What does matter now is to protect the downside and not jeopardize losing the nest egg you have worked so hard to create. It’s called risk management. Real estate is a wonderful investment, but leverage carries with it some risk. I couldn’t have said it any better myself — your 2 paragraphs sum up everything I tried to say in this article, and you did it much more concisely! As you mentioned, I’m very much invested, at this point, regardless of whether or not I buy and more assets. Markets go up, I win. Markets go down, I could lose big if I’m not prepared. This post and the latest few I’ve written are leading me towards doing something rather drastic… I think I’m starting to figure out what I really need to do to hedge and “win” in either scenario. I’ll admit you were losing me a bit over the last few posts, and I thought you were going off into the land of speculation and active trading. However, this post made it worth it to get some insight into your investment decision making. At the end of the day, I don’t have the REI mindset. It will be interesting to see where the market goes and how your strategy works out. But I guess you could look at owning REITs like owning properties 100% outright with no mortgages… the risks are far minimized. With regards to the land of trading and speculation, it could be seen as a deviation, but again it’s only limited to about $15,000 of my overall total portfolio… There should always be a room in a portfolio for some speculative plays… Sometime, I would love to flip houses as well, and I don’t see that as a bad thing. In this case, the trading and speculation are rather safe since I’m only trading dividend growth stocks, which are historically stable. If the speculation doesn’t work out, I simply collect dividends like a dividend growth investor would. That safety net does provide me with reassurances. I believe it’s possible to have a main focus and long-term strategy, in addition to other plays. But of course, it’s about risk management and only doing what you are comfortable with. It’s definitely becoming a challenge to get the returns we could a year or two ago. With rents so high, our current plan is to renovate each unit as it becomes vacant. For example, in our 4 family, one 3bed rents for $1700 with hardwood floors and a decent kitchen/bath. On the other side of the house a 3 bed rents for $1250 with old carpet and a similar kitchen/bath. To match the rents, we could take $6k and tidy up the other unit after the lease is up. This would allow for an additional $5400/month, almost a 100% ROI. There is always a place to invest, we just need to stay creative during this bull run. We have the same problem in Houston. Over the past 2 years prices have run up so much you can’t find properties that cash flow. I continue to fully invest my 401k, but have a pretty good cash cushion in my brokerage and IRA. Real estate moves are definitely slower and more deliberate than the stock market. With RE, prices are a function of wages. The price cannot go up for too long, continuing to outpace wages. That includes rents. At some point, they have to equalize to whatever a ‘fair’ rate for the area is. In the long run, RE is almost always a great investment. Agree with your comments on real estate. I think I’ve made this comment before to you, but where I’m from, if you put 20% down, you won’t have positive cash flow on a rental property. Everyone is betting on capital appreciation, which is frightening.